Self sealing, air-tight and leakproof, made from food grade silicone. Goes from freezer to microwave to dishwasher with ease. 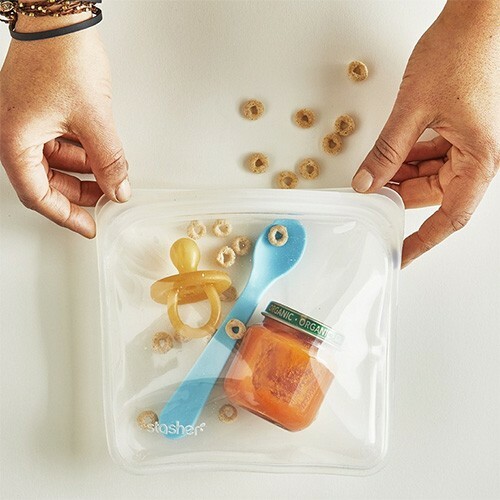 The ultimate reusable sandwich bag, the Stasher is the first and only self-sealing, air-tight, non-plastic bag in the world. Say goodbye to throw away zip lock plastic bags forever. 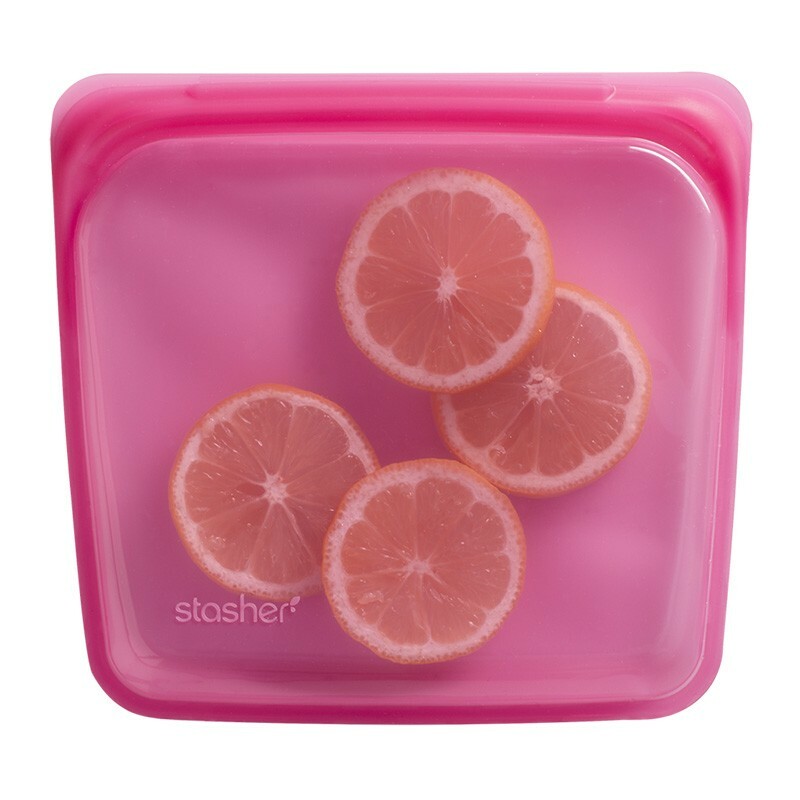 Stasher is made from bpa free and bps free pure platinum silicone. 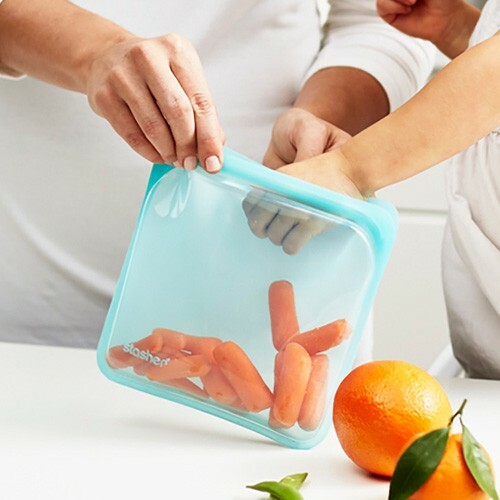 It's durable, easy to clean and can be used not only to store food but to cook it as well. Take it from the freezer to the microwave and then the dishwasher. 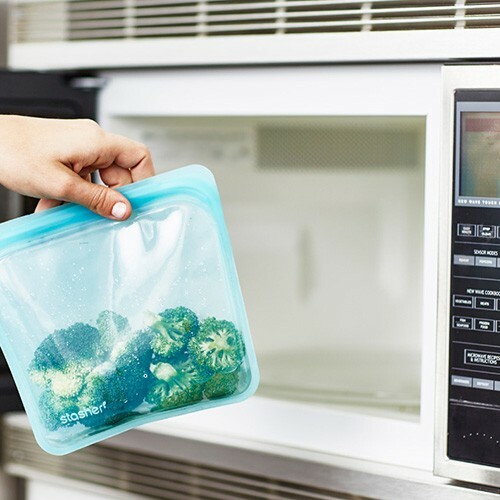 Storing and reheating leftovers just got a facelift! Care Instructions Wash before first use. Top rack dishwasher safe. Avoid sharp objects. When using in microwave, do not seal. 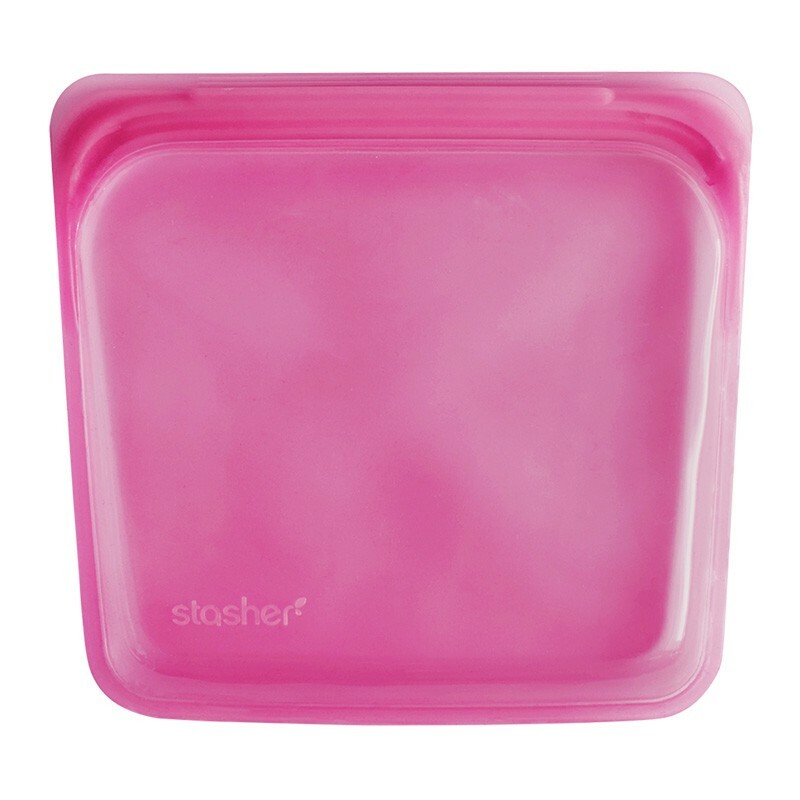 Stasher take reusable sandwich bags to a new level. 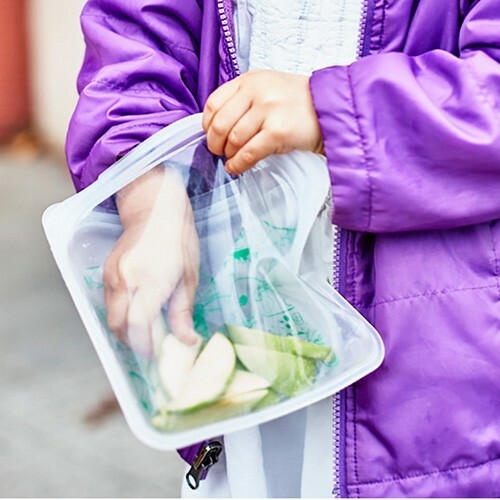 If you've said goodbye to single use plastic bags at the supermarket by investing in reusable shopping bags, you can now say goodbye to zip lock bags with an investment in Stasher Bags. Great for freezing fruit and grated cheese, anything really. Takes up less space in the freezer and less freezer burn than containers. This size is good for fruit and smoothie mixes, I use the bigger size for meat. This is a fantastic product, easy to wash, easy to store, waterproof and durable. Thoroughly recommend it!